Join us for a jam-packed PTA Meeting on Wednesday, November 28, in the Auditorium. 6:00-6:45 pm: Pre-Meeting on filling out the Free Application for Federal Student Aid (FAFSA). A discussion of college financial aid forms for seniors and juniors. 6:30-7:00 pm: Refreshments in the Lobby (no food or drink in the auditorium). 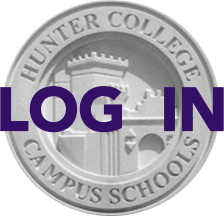 7:00-8:45 pm: Main Meeting: An Expert Panel from Hunter College School of Education will present “Perspectives on Cheating: When Good Students Make Bad Choices” bringing views from the fields of developmental psychology, testing and measurement, public and educational policy. Following the panel will be presentations by the Social Studies Chair, Mr. Irving Kagan, and the Art/Music Chair, Ms. Julie Reifer, on the scope and sequence of learning and opportunities from Grades 7-12 in their respective departments. You are invited to send your questions for the panelists and department chairs to Programming Chair Ayelet Sela (programming@hunterpta.org) in advance so that they can be addressed at the meeting. Also: The PTA will supply minivan transportation to a main subway/bus stop in Flushing, Queens following the meeting. If you need this transportation please RSVP to Yun Zhong Shu at bus@hunterpta.org by noon on Tuesday (November 27). Please go to the main PTA Meetings page for details on the panelists and on future meetings.